Today I’m posting up a blog about the exciting things I’ve been up to the last few days! On Saturday night I performed my Stairway To The Stars routine and taught at a burlesque hens night in Fremantle for lovely bunch of very enthusiastic ladies, who thoroughly enjoyed the evening! Hens nights are great fun, as I love to see so many ladies dressed up in burlesque attire and trying something new; most of them not knowing that they’d be dancing that evening, as the entertainment for the night is usually a surprise to everyone but the organiser! On the Sunday I was apart of a fashion show for Red Stripe Clothing and Suzi Homemaker at the Perth Tattoo Convention along with seven other fabulous local models. This went fabulously, and without any issues for a brilliant audience. 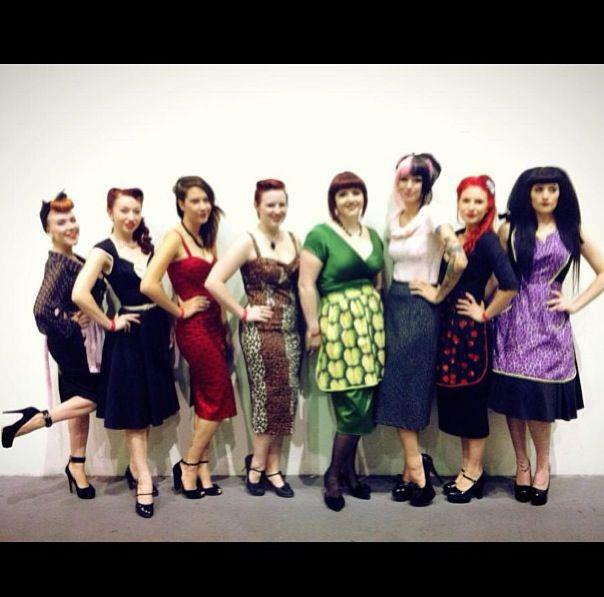 Myself and the other stunning models. 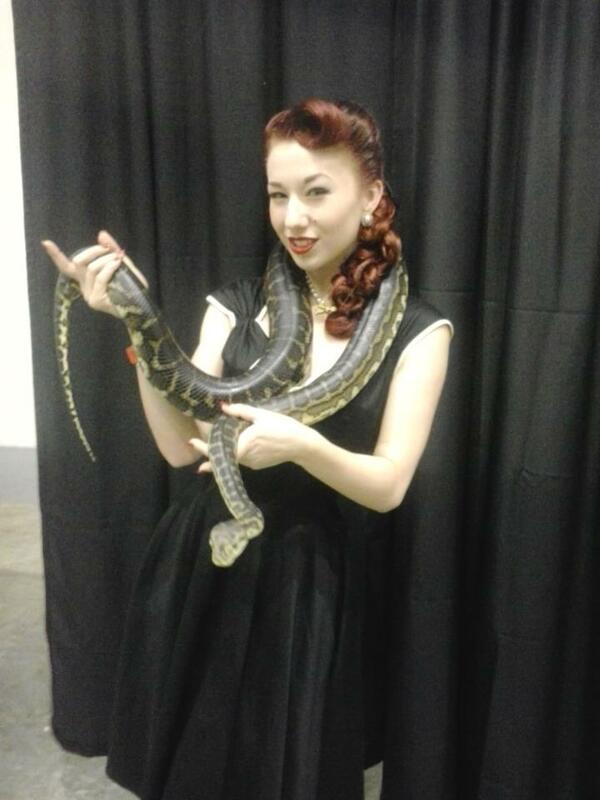 After the show we had a time to talk to the other performers backstage, including the ever lovely Emerald Mamba, who allowed me to hold her beautiful python, Gomez! I also had time to browse the tattoo convention which was amazing, I do not have any tattoos myself, and no plans on having any done anytime soon, but I have a great appreciation for them, and the amazing artists who do these. Yours truly holding Gomez, Emerald Mamba’s beautiful python. 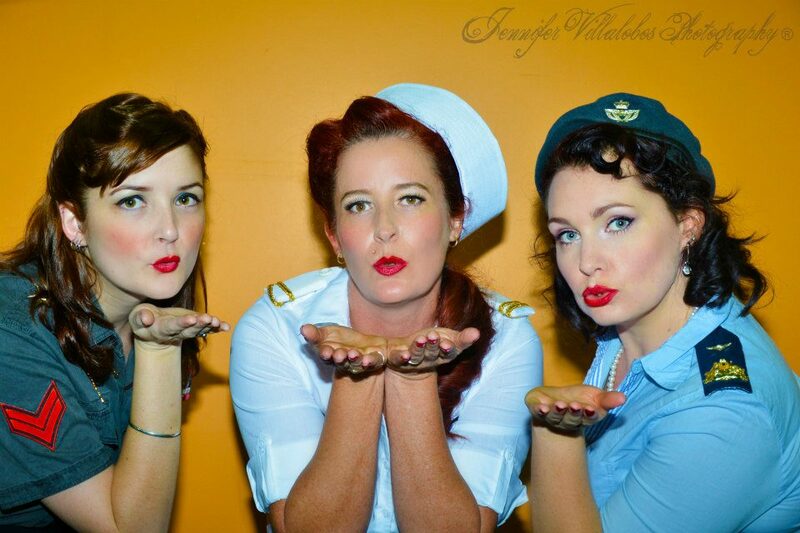 My beautiful students, a photo from their photoshoot during their pinup class! In Perth there are very few stores that are solely dedicated to true vintage clothing, and though there are some great finds, and I definitely recommend you help support our local stores, online shopping is your ultimate source to vintage clothing. You have the convenience of searching thousands of well priced stores from your bed! In the last few days I’ve had the lovely dresses below arrive, ordered from Etsy! Don’t forget to keep up to date with the brand I represent, Pretty Dress Clothing, their are heaps of tips and advice as well as loads of new blogs! 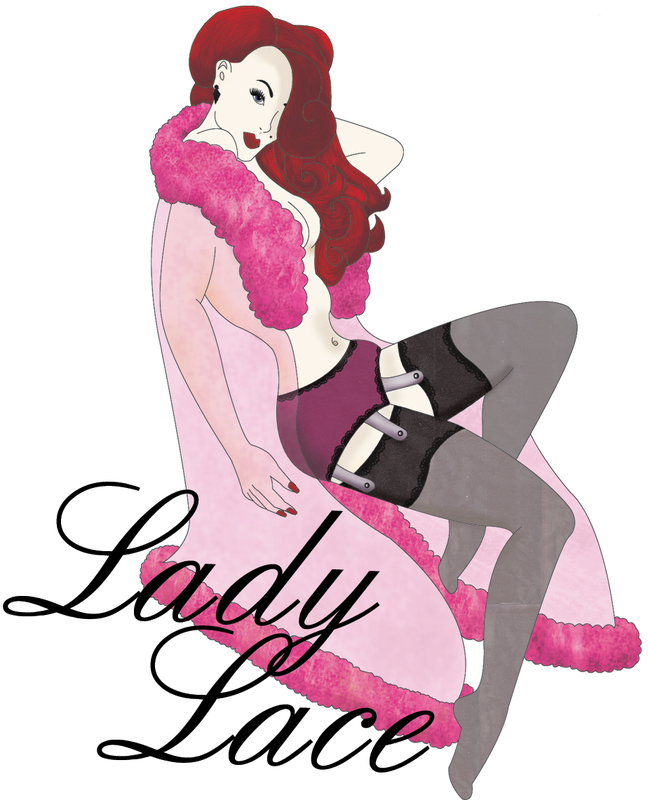 This entry was posted on May 8, 2013 by Miss Lady Lace in Fashion and tagged 2013, burlesque hens night, burlesque performance, burlesque show, ella fitzgerald, emerald serpent, fashion, fashion show, gomez the snake, graduation show, hens night, jennifer v photography, lady velvet cabaret, online shopping, performance, performers, perth tattoo convention, perth tattoo convention 2013, pinup fashion, pinup fashion show, pinup girls, pinup show, pretty dress clothing, red stripe clothing, retro fashion, snake, snake charmer, suzi homemaker, suzi homewrecker, tattoo convention, tattoos, vintage shopping, YaYa's.